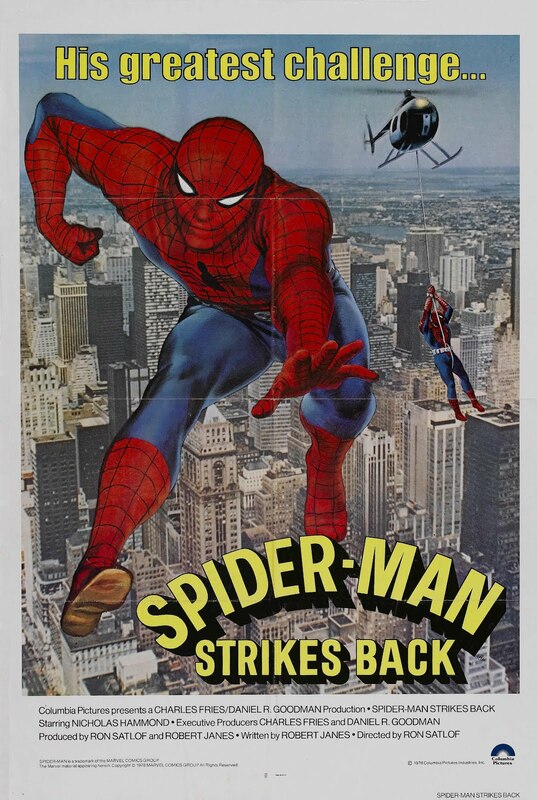 THE AMAZING SPIDER-MAN premiered on CBS in 1978 with a two-part episode that was later released in syndication and on videocassette as a TV-movie titled THE DEADLY DUST. 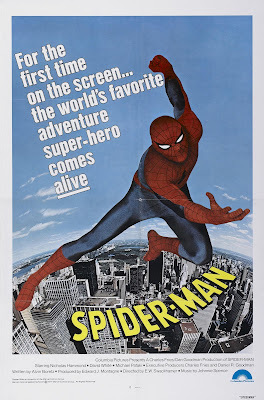 Bland Nicholas Hammond plays Peter Parker, a college student and newspaper photographer who gained superpowers as the result of a radioactive spider bite and decided to fight crime while clad in red-and-blue tights and a full facemask. University protestors steal five kilos of plutonium and build an atomic bomb. Arms dealer White (Robert Alda) then steals their bomb and takes it to Los Angeles, where he plans to explode it and blow up the President unless the U.S. gives him $50 billion in gold. Meanwhile, Parker dodges a super-hot reporter (Joanna Cameron) who’s getting all up in Spider-Man’s business. The curvy Cameron was already famous among prepubescent boys for playing the Mighty Isis on Saturday mornings, and I’m sure many of them tuned in to see her flirting in prime time with their friendly neighborhood Spider-Man. The excuses used to get Cameron into revealing outfits are hilarious (CBS promos used a lot of bikini shots), and her character even questions why she’s wearing them. I’ll give credit to producers Robert Janes (who also wrote the episodes) and Ron Satlof for staging a couple of cool stunts, including Spidey dangling from a helicopter and the opening sequence of him rescuing a jumper. But let’s blame them for the sloppy filmmaking too. Subtle changes in the Spider-Man costume from pilot to first episode means the frequent use of stock footage doesn’t match, and the Los Angeles locations look nothing like New York City. THE DEADLY DUST played theaters in foreign markets as SPIDER-MAN STRIKES BACK. Janes’ (THE FALL GUY) script is okay, setting aside the fact that it bears no resemblance to the Marvel Comics Spider-Man. Satlof (MCCLOUD) handles the action just fine. Simon replaces David White as Daily Bugle boss J. Jonah Jameson, joining series regulars Chip Fields as his secretary and Michael Pataki as police captain Barbera. This post introduces a new feature to this blog: reviews of outstanding episodes of classic television series. 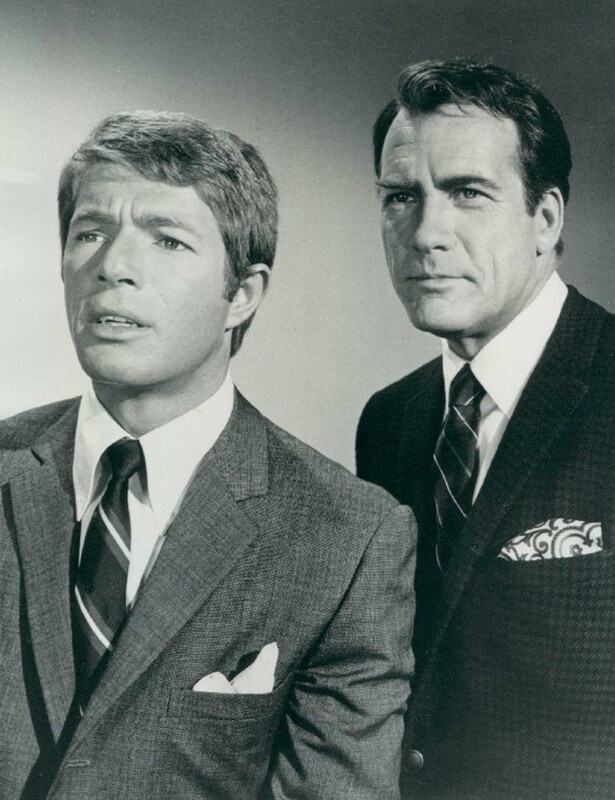 JUDD FOR THE DEFENSE ran only two seasons on ABC from 1967 to 1969. Why wasn’t it more popular? Its timeslot wasn’t bad—Fridays at 9:00pm Central facing THE CBS FRIDAY NIGHT MOVIES both seasons and NBC’s THE BELL TELEPHONE HOUR/NBC News Specials the first season and the weakly rated STAR TREK in its third and last season during JUDD’s second season. It received a decent amount of acclaim, earning an Emmy nomination for Outstanding Dramatic Series and star Carl Betz an Emmy Award for Outstanding Lead Actor in a Dramatic Series in its second year. And it opened each week with an exciting animated main title anchored by Alexander Courage’s theme, one of only two he wrote for a TV drama (STAR TREK being the other). Judging just from JUDD’s first episode, it wasn’t the quality of the drama that kept viewers away. “Tempest in a Texas Town” takes flamboyant defense attorney Clinton Judd (Betz) back to his hometown to defend a young man on charges of murdering two teenage girls. The script by producer Harold Gast and Leon Tokatyan (LOU GRANT) from a story by JUDD creator Paul Monash (PEYTON PLACE) won the 1968 Edgar Award for Best Episode on a TV Series. Chock-a-block with strong characterizations and a twisty plot, “Tempest” was a fine choice. Judd, a slick-talking combination of Texas-bred Percy Foreman and F. Lee Bailey, is not roundly welcomed back in little Amos, Texas, where his sheriff father was murdered on the town square by a man who was acquitted of an earlier killing. The man’s attorney was Clinton Judd. Judd’s client is Brandon Hill, played by the enigmatic and charismatic Christopher Jones, who had recently essayed the title role in ABC’s single-season THE LIFE AND TIMES OF JESSE JAMES. Jones, whose brief Hollywood career included a starring turn in WILD IN THE STREETS and a brief marriage to actress Susan Strasberg, vanished from the public eye after co-starring in David Lean’s RYAN’S DAUGHTER. Hill has a beef against Amos because of his late father, an inventor who was laughed at by the town for being a crackpot. He’s insolent and brash, and Jones plays him on the edge so that it’s not clear whether or not he’s also a killer. Hill’s crime is the murder of two teenagers, which allegedly occurred by beating them with a shovel and then burying the bodies with it. However, the girls were never found, which doesn’t deter District Attorney Ed Tanner (Pat Hingle, burdened by a foot cast and cane that may be from a real injury) from putting the young Hill on trial for their deaths. And it seems as though Tanner may have a strong case after an eyewitness, an elderly ranch hand named Aldo Reese (Russell Thorson), testifies that he saw the entire crime take place. Judd, whose sense of fair play dictates he must give his client, guilty or innocent (“I’m a lawyer, not a judge.”), his best, tears apart Reese during cross-examination—an action that scars Judd, because Reese was the only man in town who came to his father’s aid after he was shot down. Even better for Judd’s case is the mid-trial appearance of one of the alleged victims, Terry Ann Brendler, played by Fox contract player Patti Petersen, who later changed her name to Heather Young and became a regular on ABC’s LAND OF THE GIANTS. Gast and Tokatyan have more twists up their sleeves, but I won’t give them away except to say “Tempest in a Texas Town” ends on an uncharacteristically bleak note for 1967 episodic television. Harvey Hart (BUS RILEY’S BACK IN TOWN) directs with strength, pushing in tight on Betz during the star’s juicy monologues. Betz, fresh off eight years as Donna Reed’s husband on her eponymous sitcom, obviously relished the chance to sink into dramatic material. “Tempest” was the first JUDD FOR THE DEFENSE filmed and aired. Stephen Young (PATTON) joined the series as Judd’s young legman, Ben Caldwell, and the two men tackled cases involving racism, draft dodging, parental rights, heart transplants, snake pits, witchcraft, mental retardation, and other hot-button issues of the late 1960s. None of these helped the ratings, and it’s possible asking viewers to immerse themselves in controversial subjects contributed to the series’ low ratings. 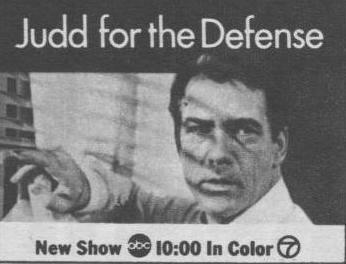 Nonetheless, JUDD FOR THE DEFENSE was a triumph for Carl Betz and executive producer Paul Monash. And “Tempest in a Texas Town” is an hour of television both could be proud of. Columbia Pictures released SPIDER-MAN as a theatrical feature overseas in 1978 and later in the U.S. on VHS. Aside from silent bits on the PBS kiddie show THE ELECTRIC COMPANY, this CBS pilot marks the first live-action appearance of Steve Ditko and Stan Lee’s Marvel Comics creation on film. Don’t look for Spider-Man to battle any colorful supervillains, however, as the plot and those of the series that followed are interchangeable with other cop shows of its day. Nicholas Hammond, who was one of the Von Trapp kids in THE SOUND OF MUSIC, is uninteresting as Peter Parker, a college student who is bitten by a radioactive spider in his science lab and receives superpowers, such as the ability to walk up walls. Director E.W. Swackhamer (LAW & ORDER) shows this using the laughable visual effect of Hammond crawling on a blue screen with a photo of a house superimposed on it. Later shots using a stuntman on wires are a lot better. Jeff Donnell (IN A LONELY PLACE) is Parker’s aunt May. David White (BEWITCHED) is Daily Bugle editor J. Jonah Jameson, to whom freelance photojournalist Parker reports, and Hilly Hicks (ROLL OUT) is Jameson’s assistant, Joe Robertson. They’re the only characters from the comics to make the transition to the small screen, and only Jameson continued with the series (though played by a different actor). New York City is plagued by Edward Byron (Thayer David), a megalomaniacal New Ager who hypnotizes ordinary citizens and forces them to commit bank robberies. He threatens to force ten people to commit suicide unless the mayor pays him $50 million. Parker designs a red-and-blue costume and mechanical web shooters to investigate. Alvin Boretz (N.Y.P.D.) had been writing for television for three decades when he got this assignment, but it’s clear he didn’t have a grip on the Spider-Man character or his universe. Considering co-creator Lee was the script consultant, this is unforgivable. There’s nothing at all “larger than life” about this film, except maybe Michael Pataki’s humorously hammy turn as Captain Barbera, a sarcastic cigar-chomping cop on the case. Even the fight scenes, which should have been the highlight—how do you screw up Spider-Man battling a trio of samurai?—are dull. 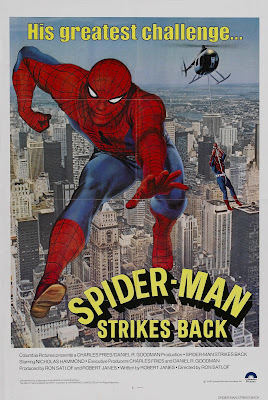 Twelve months passed before CBS aired the first AMAZING SPIDER-MAN episode in 1978, a year in which it also had WONDER WOMAN and THE INCREDIBLE HULK on its prime-time schedule.